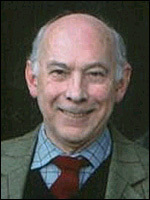 Born in London on 1 May 1935, Ian Curteis started out as a stage director before moving into television in the 1960s. At the BBC, he directed various drama programmes, including episodes of Z Cars (1962-78) and instalments of anthology series Kipling (1964) and Londoners (1965). He directed little for television after his difficult production of William Trevor's 'Walk's End' for Out of the Unknown (tx. 22/12/1966). 1966 also saw the release of his science-fiction feature film The Projected Man . Turning to writing, Curteis contributed 'The Folly' to ATV's Love Story (ITV, tx. 3/12/1968) and 'The Haunting' to their Saturday Night Theatre strand (ITV, tx. 28/06/1969). His talent for biographical dramas soon emerged, with 'Beethoven' (tx. 11/11/1970) and 'Alexander Fleming' (tx. 18/11/1970) for BBC2's Biography series, and 'Mr Rolls and Mr Royce' for The Edwardians (BBC, tx. 21/11/1972). He also contributed scripts to established series such as Doomwatch (BBC, 1970-72), Crown Court (ITV, 1972-84), Sutherland's Law (BBC, 1973-76), The Onedin Line (BBC, 1971-80) and Hadleigh (ITV, 1969-76), but his most memorable work would remain biography and drama-documentary. The years 1977-79 proved particularly productive. Curteis' output included his own legal series Rough Justice (BBC, tx. 29/7-02/09/1977) and Philby, Burgess and Maclean (ITV, tx. 31/5/1977). This was undoubtedly the best television treatment of the Cambridge spies saga, despite it appearing before the involvement of a 'fourth man' was known. In a similar vein, The Atom Spies (ITV, tx. 9/6/1979) depicted the case of German spy Klaus Fuchs, who had passed research secrets to the Russians during WWII. 'Hess' ( Saturday Drama , ITV, tx. 30/09/1978) dramatised the failed attempt of Nazi deputy Führer Rudolf Hess to arrange a peace deal between Britain and Germany, and was broadcast as renewed calls were being made to release Hess from life imprisonment. Curteis then wrote the mammoth three-and-a-half-hour Churchill and the Generals (BBC, tx. 23/9/1979), which The Times described as "intermittently moving and undeniably fun". This was followed by the nearly-as-lengthy Suez 1956 (BBC, tx. 25/11/1979), which depicted the political machinations of Anthony Eden and his cabinet during the Suez crisis. Curteis asserted that it was not a dramatic 'reconstruction' of history, but a play, containing his own speculation and personal assessment alongside known fact. Curteis's relationship with the BBC soured in 1986 when his The Falklands Play , commissioned in 1983 as an extensive drama documentary detailing the political and diplomatic processes behind the Falklands war, was cancelled at a late stage in production. Curteis blamed a "liberal conspiracy" within the BBC, provoking a bitter media storm. the débâcle replayed itself in miniature in 1995 when the Corporation cancelled Curteis's drama about the Yalta conference of 1945. Again, Curteis suggested a political motive due to his rightwing presentation of events. Curteis's later work included adaptations of J.B. Priestley's Lost Empires (ITV, tx. 24/10/86-22/2/87), and his then wife Joanna Trollope 's novel The Choir (BBC, tx. 19/3-16/4/95). The Falklands Play (tx. 10/4/2002) was finally produced by the BBC simultaneously for radio and television, to mark the conflict's twentieth anniversary.